We’re proud to welcome thousands of teams and guests each year to The Co-operators Centre. The Co-operators Centre is located at Evraz Place in the heart of Regina. The Co-operators Centre is a large multi-purpose sports facility featuring six regulation-size ice surfaces, 32 team locker rooms, a pro shop, restaurants and seating for 1,300 people in the main arena. 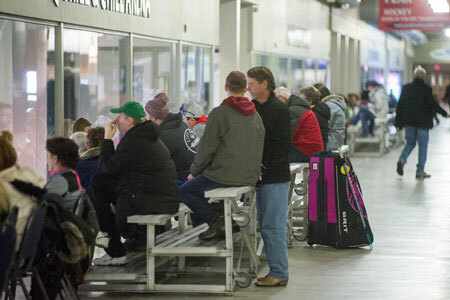 Home to the women’s and men’s University of Regina Cougars hockey teams and The Co-operators Centre Hockey League, the facility also hosts many other local, national and international events. The facility has Tim Hortons, Subway, Western Pizza, Extreme Hockey Pro Shop and heated views of all rinks. See the event calendar for information on upcoming events. We offer a variety of skating, hockey and figure skating drop-in programs for all ages.